The waterfront around Merlion park has been transformed by the billion dollar makeover initiated by the Government, making the Marina Bay area my favourite destination to entertain. Proximity to my office helps, but it is a wide variety of choices available around the bay that surprised me. Sansui Sumiyaki was one of the first to appear on the scene and survived the competition, so there must be some merits beside the excellent location. 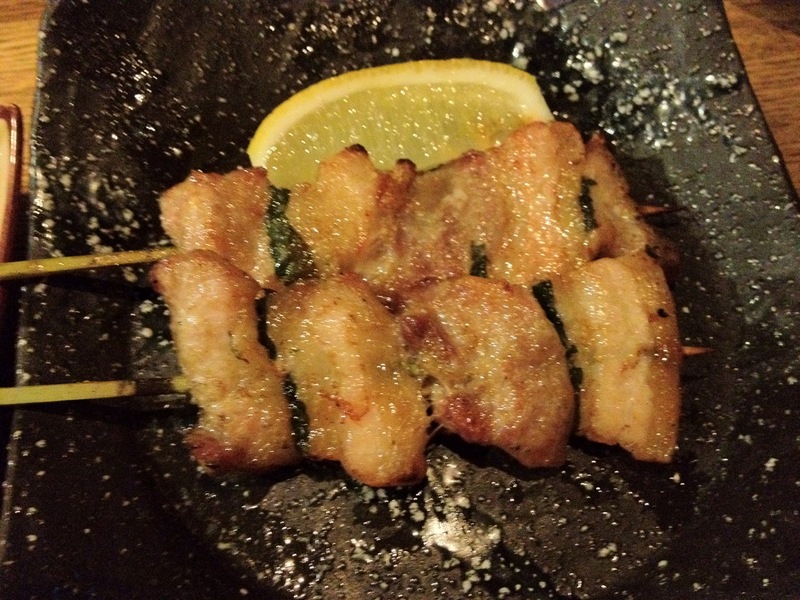 Unlike other Yakitori places, Sansui tried to put some structure around the meal with an appetiser, a started, some main course items and dessert. So the dinner started with a Yamamo appetiser. 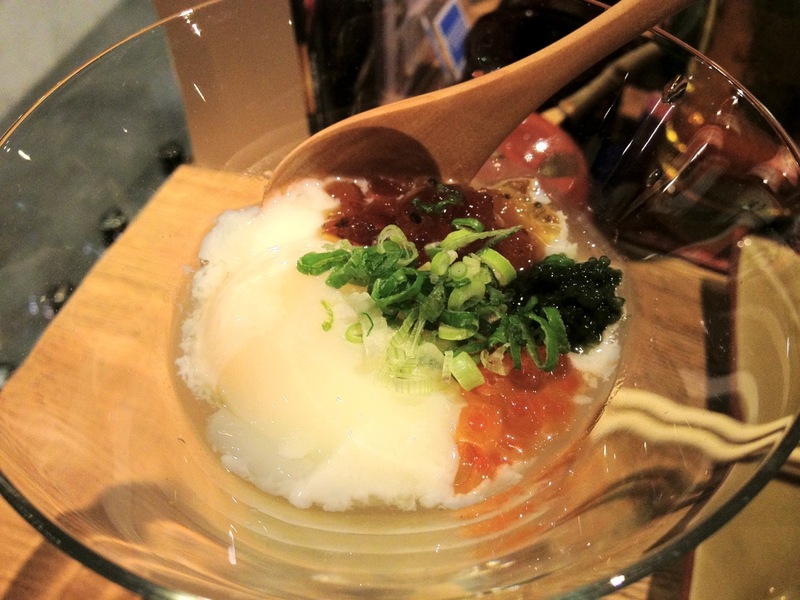 The Japanese yam was mashed raw and therefore retained its sticky texture. 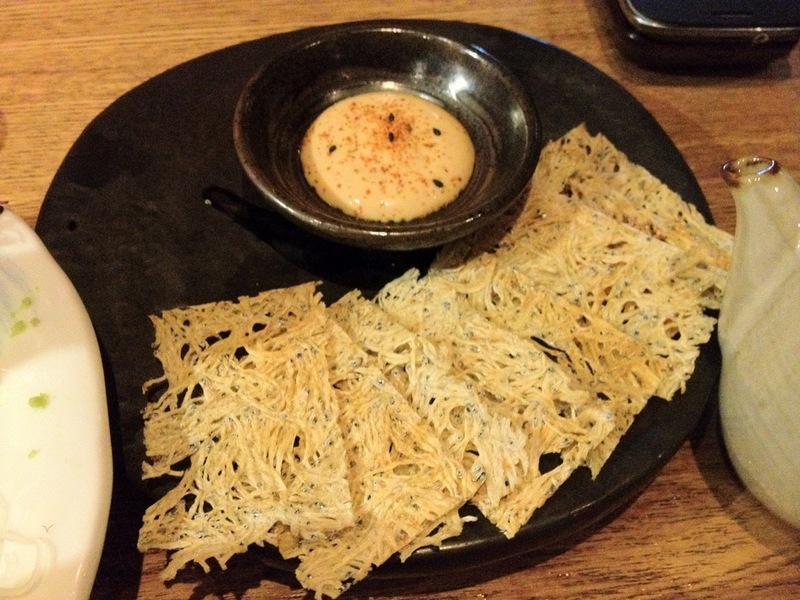 It was flavoured with a kelp and Ponzu sauce and sprinkled with spring onions, seaweed, ebiko and served cold. Nice, given our hot weather. 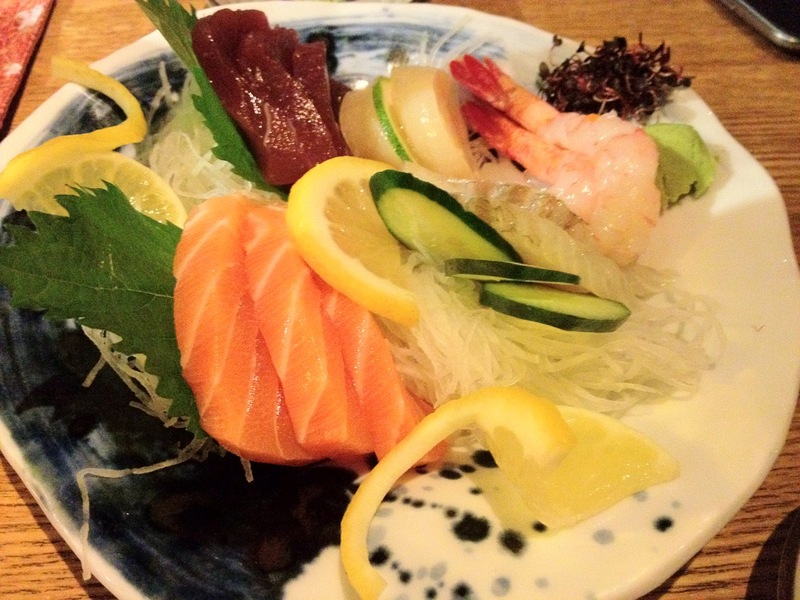 Sashimi to share followed the appetiser and it was not one of the best in town. The grilled dishes started with Shitake, which to me was the wrong sequence. It was followed by a pork belly seasoned with salt. 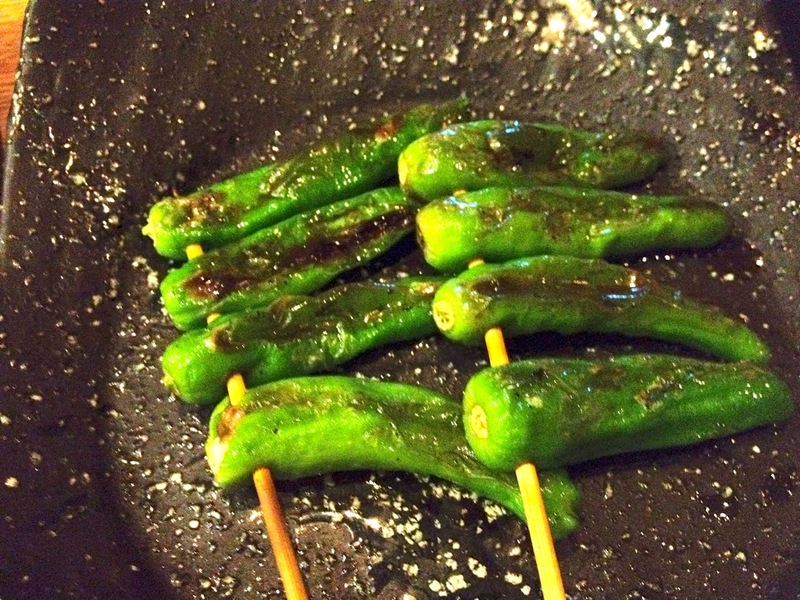 Shishito is a green pepper from Japan and when grilled, was sweet to taste, but still packed the fire if you ate the seeds. 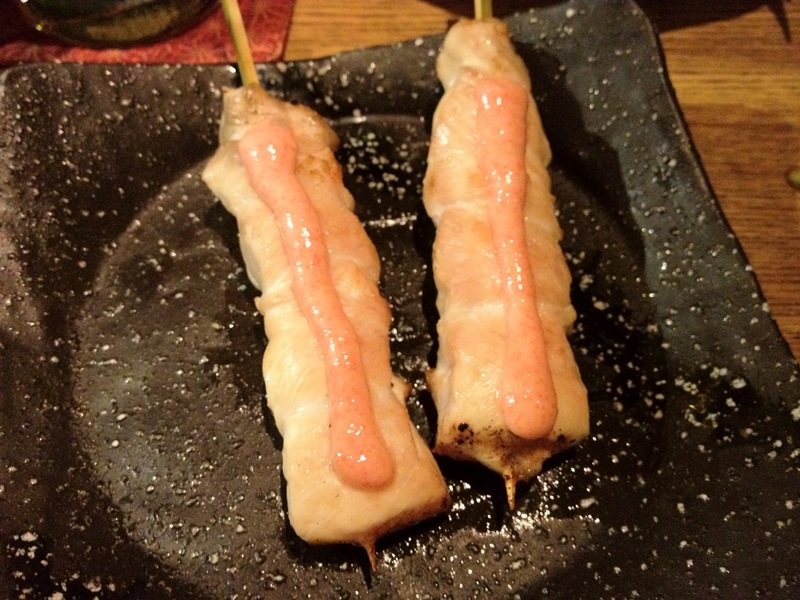 The grilled prawn with bacon was complemented by the spicy Mayo which I find to be the weakest link of the evening. Again the sardines came at an awkward timing in the dinner. 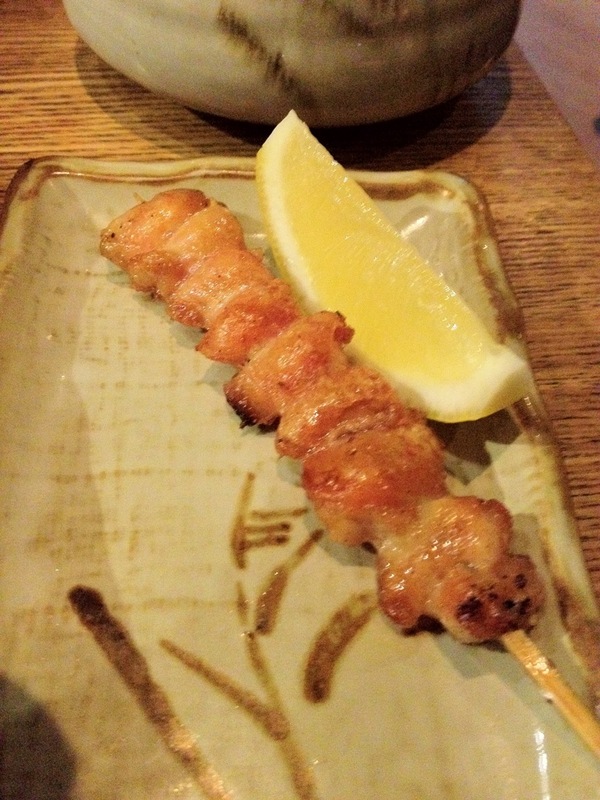 The yakitori was dipped in teriyaki sauce. The sauce did not overpowered the dish as in a chain store where you tasted nothing but the sauce. 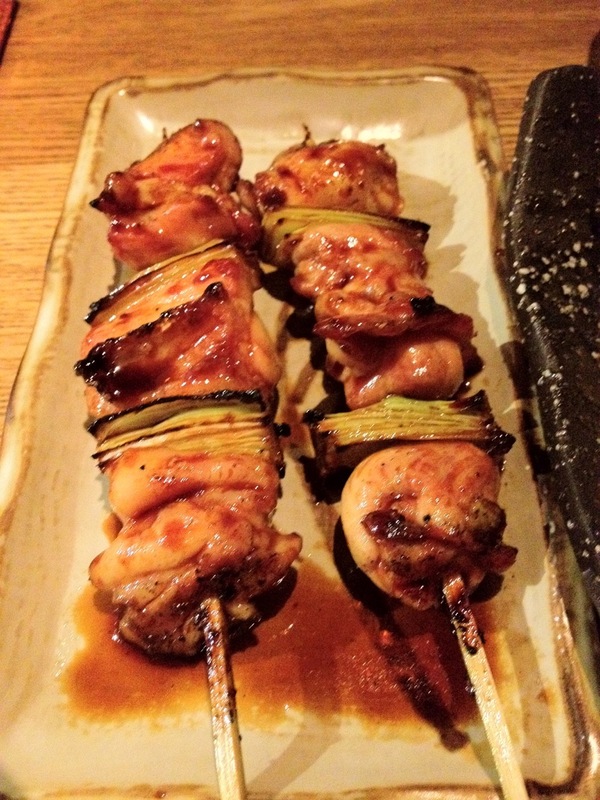 This one, the smoky chicken with the leek was enhanced by the sweet teriyaki sauce. 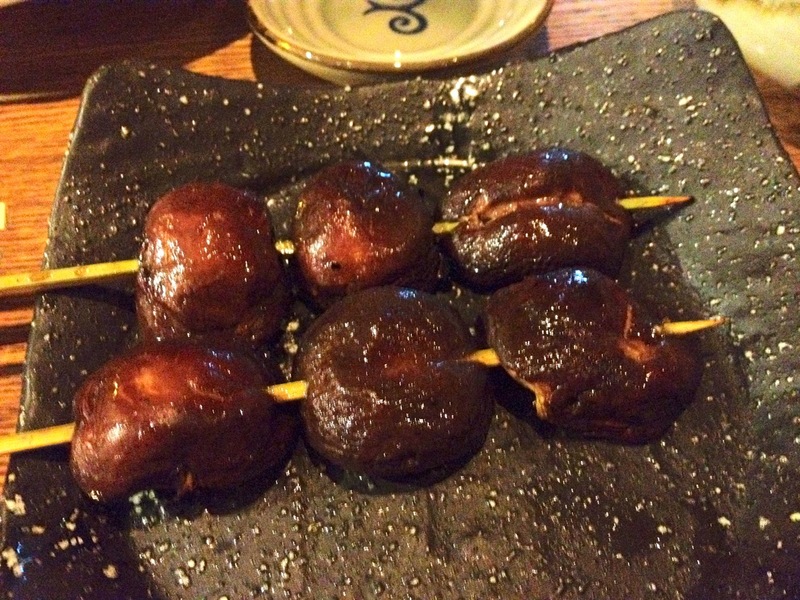 My favourite yakitori dish – chicken bonbon seasoned with salt. Chicken wing seasoned with salty – I found it a bit too dry and bland. 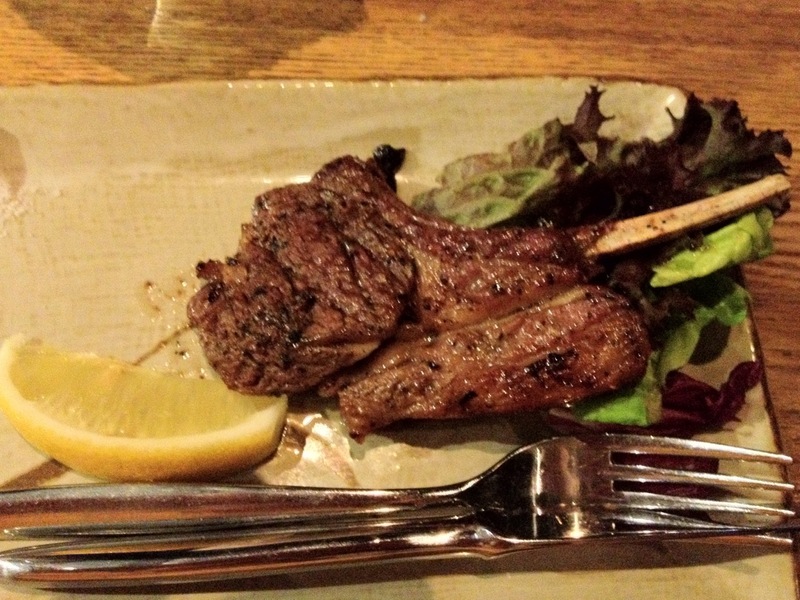 The Lamb Chop was seasoned with pepper and salt, and yet did not have any gamey taste to it. Grilled to perfection, it was not chewy. I hoped there were more pieces, but at $15 a piece, we left it as that. Ambiance was ok, we were sitting inside just next to the wall. The place has a family feel to it though it was branded as a bar. There are outdoor seating but it does not have a canopy so avoid it during the rainy season. 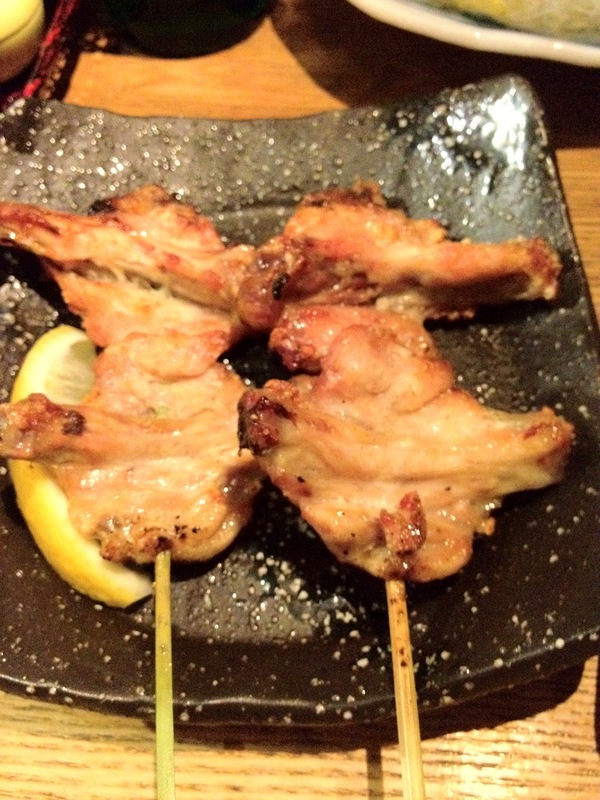 The menu choices were not as comprehensive as some Yakitori places we frequent, and the I am a bit disappointed by the limited choices of chicken parts available. Service was a bit of a let down, the mainly foreign staff did not really know the menu well and have to keep checking if an item was available. Expect to pay $50-$80 per pax, excluding drinks.